﻿ Best Price on Hotel Don Taco in Monteverde + Reviews! 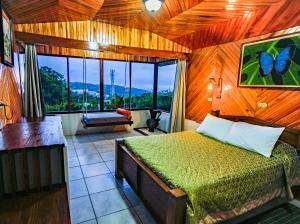 Hotel Don Taco is located in Monteverde, Costa Rica. Main Square and 2297 feet from the Serpentarium. It features wooden décor, free American breakfast and free Wifi in public areas. 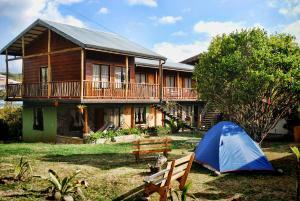 The rooms offer wooden furniture, cable TV and a mini-bar. The bathrooms are private and come with shower. The superior rooms also feature a terrace overlooking Monteverde. The on-site restaurant offers breakfast Service, and guests can find other options at the town center 984 feet away. This hotel is 1640 feet from Jardin de Orquideas Park and 3.1 mi from Monteverde Nature Reserve. Daniel Oduber International Airport is a 2-hour drive away.